Wolverines are known for their elusiveness, their fearlessness and their powerful bite. But a new documentary featuring rare footage of wild wolverine families reveals some surprising new insights about their lives and relationships. Ghost of the Northern Forest debuts on CBC-TV's The Nature of Things tonight at 8 p.m.
Before Canadian wildlife filmmaker Andrew Manske began making Wolverine: Ghost of the Northern Forest, he had never seen a wolverine, despite filming a huge range of wildlife in remote places for 20 years. He believed the reputation that wolverines had for being "solitary wanderers." 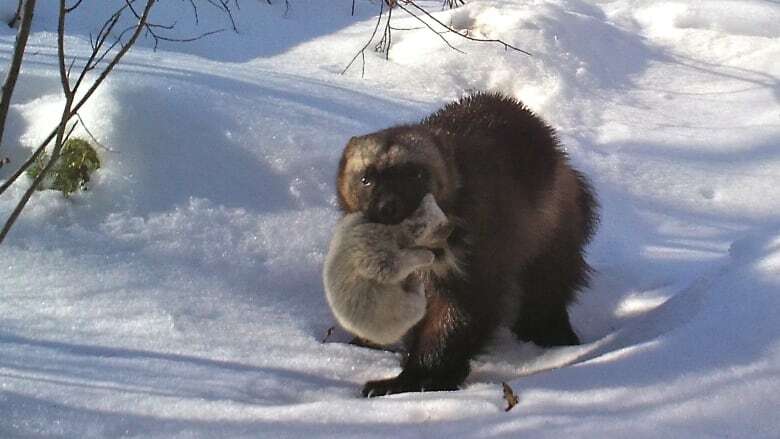 But he realized that reputation was not well deserved after capturing footage of both male and female adult wolverines in the company of nearly fully grown offspring and working with University of Alberta wolverine researchers Mark Boyce and Matt Scrafford. "We're finding out that they're a lot more social than we thought," he said in an interview ahead of the film's debut tonight on The Nature of Things. In one of the most interesting scenes in the film, researchers from the University of Alberta capture an adult male wolverine in a trap so they can put a tracking collar on him. Shortly after he's captured, a more timid male visits the trap and claws at it while calling to the other wolverine. He eventually falls asleep just outside the trap. The researchers believe that wolverine was the son of the one they captured and that he was following his father around. "We started learning that male wolverines might play a bigger role in raising their young," Manske said. "We kept seeing the male wolverine returning to the den when the mother was inside with her kits," Manske said. "The male would come by every couple days just to check on them." He's also seen using his urine to mark the outside of the den with his scent to keep other wolverines away. Scrafford, a PhD candidate at the University of Alberta, said Manske's footage has actually been very valuable for his research. He had known that wolverines were territorial and suspected that was to protect their mates and kits, but never had any evidence until seeing the males visit repeatedly at three different dens. "I would not have really known that if Andrew hadn't set up all his cameras," he said. 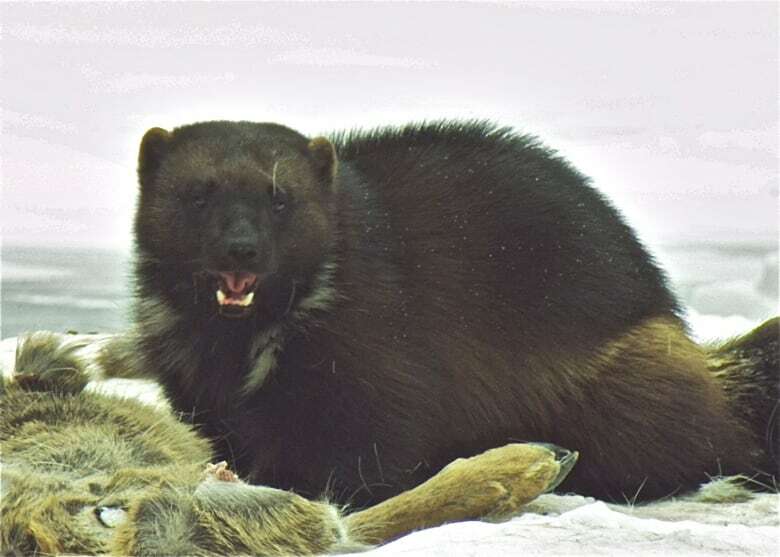 The scene also features something Manske believes is a world first — footage of wild wolverine kits. This wolverine, which stars in the film, has been nicknamed Shaggy. 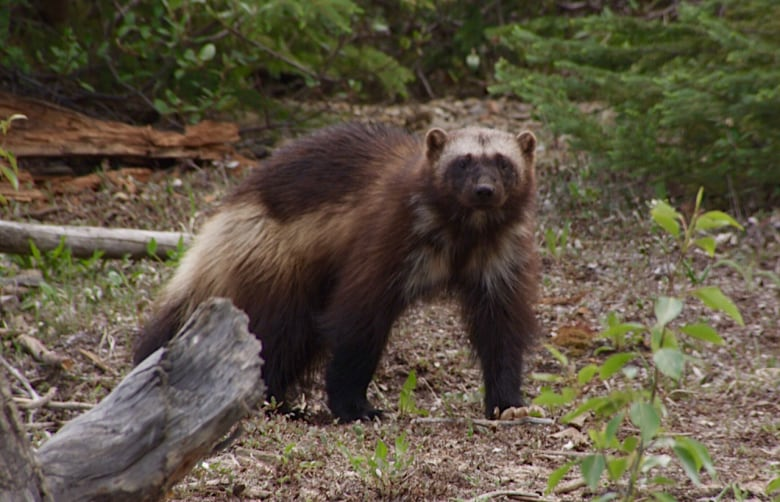 Wolverines can be identified by the patterns on their chest. Their mother carries the pale grey, squealing, fluffy bundles outside the den while moving them to a new location in broad daylight. "We were shocked to see her come out in the middle of the day," said Manske. One of his big challenges as a filmmaker had been wolverines' nocturnal habits — one of the reasons they are so rarely seen by humans. Another reason is that they live in very remote areas. Manske spent five winters filming in the distant, northwest corner of Alberta, hunkered down in a freezing, cramped hidden tent or blind, trying to capture daytime footage of wolverines. The area was only accessible in winter, by snowmobile, and Manske's snowmobile went through the ice of a river many times while he was trying to get there. 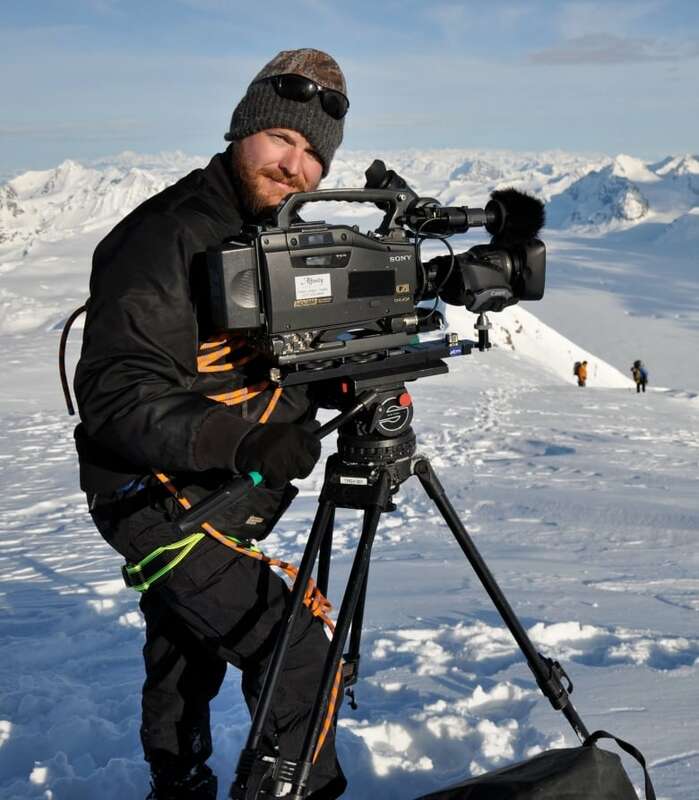 Some years, despite all his efforts, he didn't get any footage at all — although the film also features beautiful footage of other wildlife, including wolves, lynx, pine martens and eagles, that he filmed to pass the time. But his patience paid off in the end. He managed to film an adult female that he named Bandit and her nearly full-grown son Shaggy and daughter Whitetips numerous times. "Their chest patterns are like fingerprints," he said. "I know who it is right away." Boyce and Scrafford started their wolverine research project shortly after he began the film, with some help from Manske's business partner, Brian Bilson, co-owner of their production company Compass Media Inc. That allowed Manske to film their work and their research subjects as well. But in the end, Manske's most intimate wolverine encounter didn't actually make it into the film. One day, while he was filming from inside his blind, a wolverine charged at him, coming too close for the telephoto lens on his camera. "I was able to look outside the blind and see the wolverine one metre away, just standing there sniffing the blind, sniffing my snowshoes," Manske recalled. "Even though I couldn't take a picture — it was driving me nuts — I could still look at this animal, that close, that was really, really special to be able to be that close to a wild wolverine." Manske isn't done filming wolverines. He has been asked to capture new footage of wolverines for a BBC series on mountains. He leaves next week for another month in his blind. Wolverine: Ghost of the Northern Forestairs tonight, Thursday, Feb. 25 at 8 p.m. on CBC-TV's The Nature of Things.